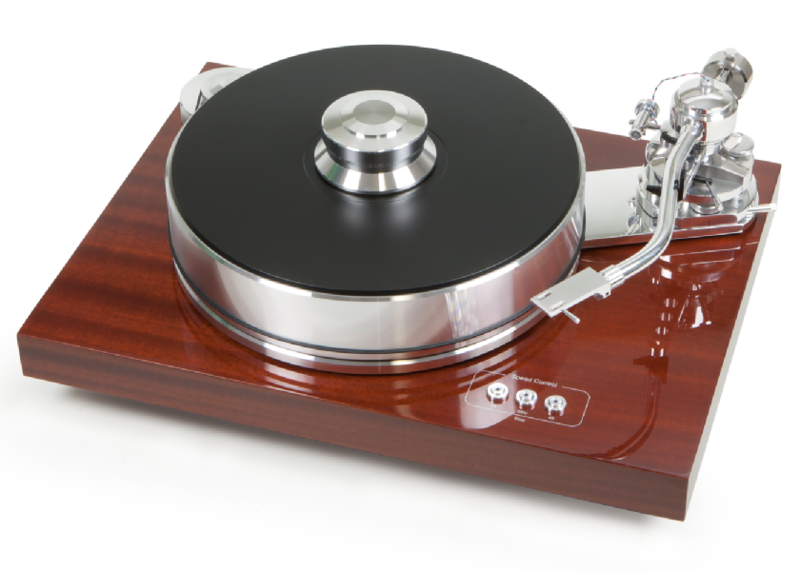 New for 2011 is the Deluxe version of the TT2 turntable. This deck is an evolved version of the TT2 and features a plinth made from plywood for its superior sonic properties. More details to follow. It is available in a variety of finishes: Gloss black or White as well real wood veneers of Black Ash, Cherry and Rosewood. Arm boards can be supplied blank or cut for Rega and SME mountings. The Hyper Space is an evolved version of the Space Deck featured elsewhere in this turntable section. It builds on the basic design by adding a complex multi-layer platter with thick graphite mat and a superb oil pumping main bearing. 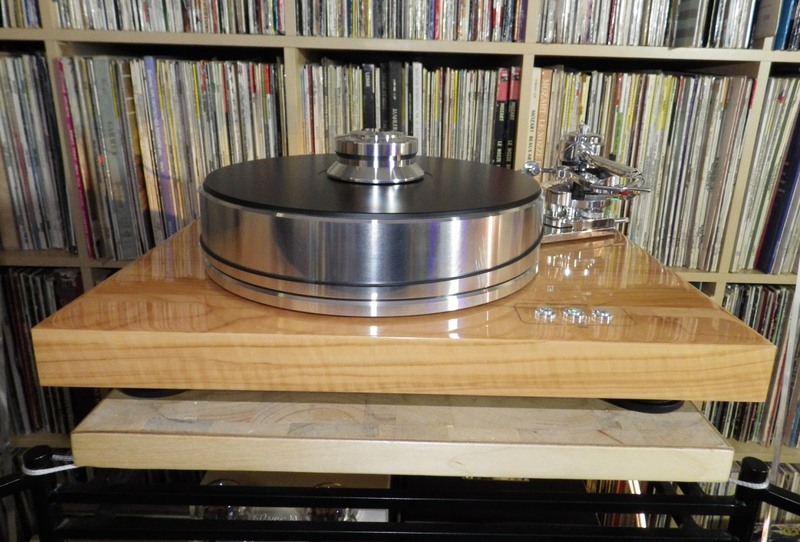 An update for 2017 is the next even thicker platter, making this a very substantial turntable for the price. 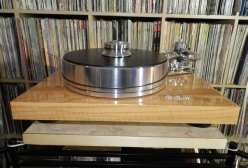 Like the Space Deck, it can be upgraded with an external power supply, and a second tonearm can be fitted if ever required. 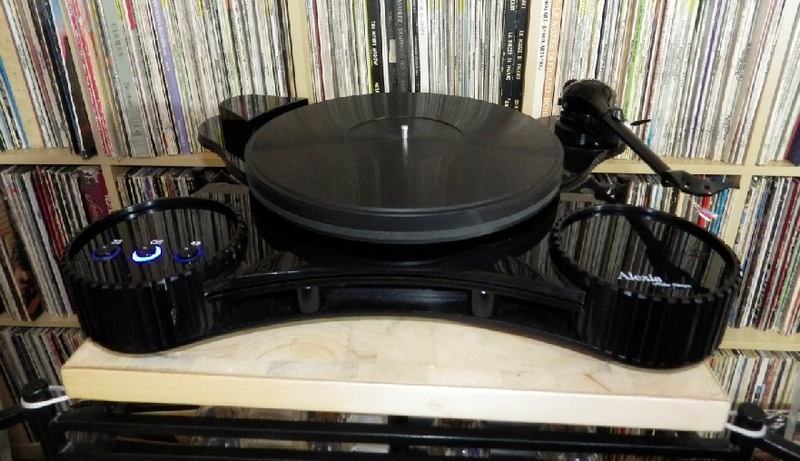 The turntable base and plinth are finished in black as standard, but other many other RAL colours are available to special order. The Orbe is the logical progression from the Gyrodek, it features many developments including a solid vinyl loaded platter, a screw down record clamp, external power supply (with tacho feedback and the latest Never Connected circuitry). The plinth offers extra isolation as it is made from two spike couple pieces of acrylic. Sonically it elevates the Gyro sound by extending much deeper into the bass, having greater stability and blacker backgrounds which allows even more detail to be retrieved. In the same way there is a spider edition and standard version of Gyrodek, so there is with the Orbe. The cased version has a full size plinth and hinged dustcover, but all other specifications are the same as the Orbe SE version featured above. 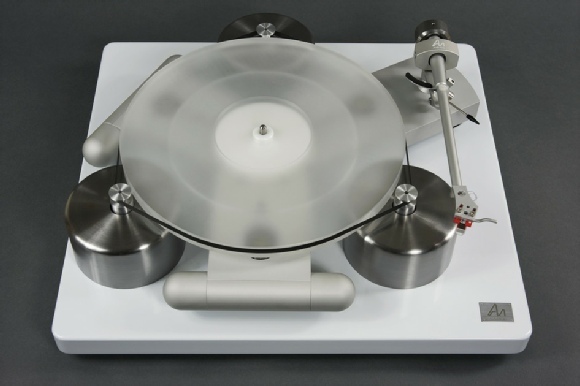 The Signature 10 is a turntable and tonearm combination from Project, and it’s a real tour de force of their technical capabilities. Weighing in at over 22kg, and arriving in an impressive wooden crate, it is actually a remarkably straightforward deck to setup once its been heaved into position. This deck does not have conventional suspension, instead is uses multiple levels of magnetic decoupling - in the feet, chassis and platter, so there are no springs to adjust - it’s almost plonk and play. 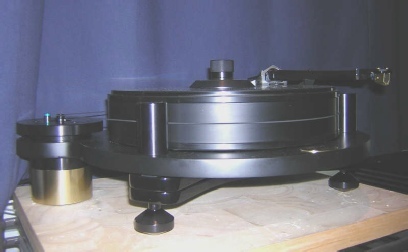 Basic setup is limited to undoing transit bolts, levelling the feet and fitting the tonearm (which I’ll come back to in a couple of paragraphs). The plinth is available in three different high gloss finishes, Olive (as pictured above), Mahogany and black, underneath it’s made from wood and is mass loaded with metal inserts. The massive platter weighs just over 10kg, is internally damped with a thermoplastic elastomer and is topped with an integral vinyl mat. It sits on a ceramic topped inverted bearing, and the magnetic repulsion system reduces wear. A substantial record weight is also supplied and it’s clear that the deck has been designed around it, as it is beneficial to the sound, and thankfully it’s a joy to use and can be added whilst the platter is spinning. 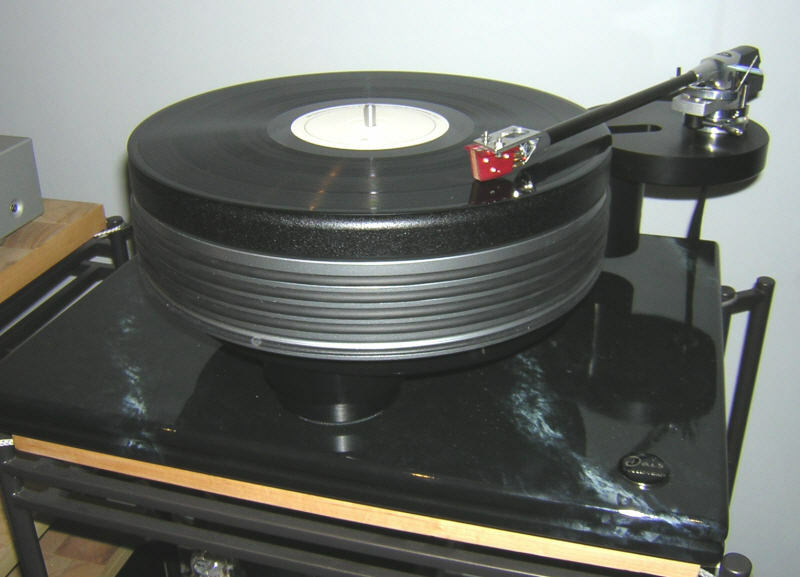 Electronic speed switching of 33.3 and 45rpm is controlled by buttons on the top of the plinth. Apart from the massive platter, the thing that grabs you on first glance is the tonearm. It’s a thing of real beauty, and it’s a wonder how Project can produce it for the price. Based around a unipivot design, but with the stability of a conventional tonearm, this 10” long arm is one of the nicest to set up I’ve ever experienced - with alignment adjustable without tools, and the vta done via a thumb screw (albeit it locked off with an allen key). The headshell is removable, so swapping between different cartridges within the space of just a couple of minutes becomes a real possibility if you buy additional headshells - great for those people that also want to run a mono cartridge option or simply like experimenting. All of this technical prowess is for nothing if it doesn’t sound special, but thankfully it does. Most obviously the sound is big, smooth and powerful. Surface noise is exceptionally low, and the music appears out of an extremely black background - a sign of a very well damped design. The sense of scale, purpose and composure it brings to large scale recordings is unfailingly impressive, as is the even tonality and delicate touch that it brings to quieter pieces. All of this performance and finish is available at a price that I’d have never guessed was possible, and I think it makes the Signature 10 something of a steal. A package price including the Ortofon Cadenza Black is also available, which gives a substantial saving over the individual prices (price detailed below). Helius Designs have been making tonearms since 1982, but the new Alexia is their very first turntable design, and what a debut it is. Those familiar with Helius products will probably not be that surprised that this is a rather radical design, and shows what can be done if you think outside the box. 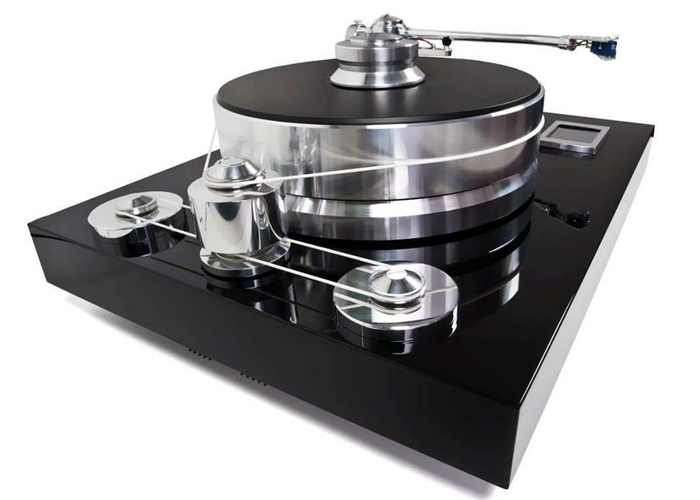 Perhaps the most immediately exciting aspect is the suspension system, which uses a double wishbone setup tuned to 2Hz and results in the best bounce I have ever seen on a turntable - it’s movement is perfectly vertical, with no sideways wobble at all. This incredibly clever design also makes setup a breeze as there’s no spring adjustments to worry about, just set the suspension bounce height by a single screw (it’s adjustable to allow different weights of arms and cartridges to be used) and that’s it. Also somewhat unusually, the low noise motor is mounted directly to the suspended part of the chassis, so there is no resulting wow when the suspension moves as the distance between the two is rigidly fixed. The motor is controlled by a power supply that uses an optical encoder underneath the platter to correct the speed 270 times per second, ensuring the speed remains constant almost regardless of load. A flat belt drives the perimeter of the platter, which spins on a very low friction ruby ball bearing. As you’d expect it’s designed predominately to accept Helius tonearms, with the arm base rotatable to accept either 9” or 10” variants. The acrylic pieces which cover the black metal work of the plinth are available in either black or clear, the example picture above is the black acrylic version. The outcome of all this attention to detail is an open and fast sound, seemingly thriving on complex rhythms, yet never dictating the apparent pace of the performance (as many similarly exciting decks often can do). The whole sound is wonderfully pure, and tonally free from obvious character. The space around instruments is beautifully resolved, such is the overall cleanliness of its presentation. What it is not, and you could perhaps be forgiven for thinking it could be based on the above description, is in any way soulless or lacking in musicality. Its natural drive and rhythmicality ensure that it remains constantly entertaining and involving whatever you’re spinning. Armboards: Rega & Helius fittings available as standard. 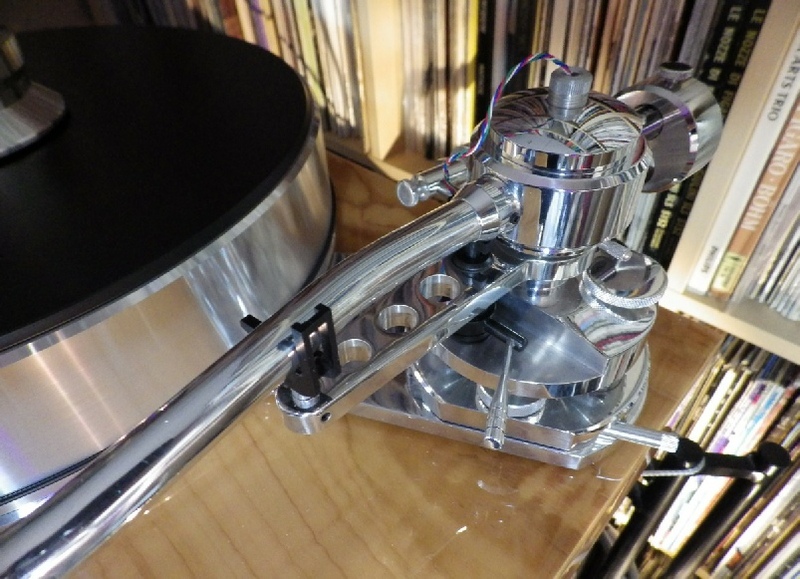 Please ask regarding other tonearm fittings. 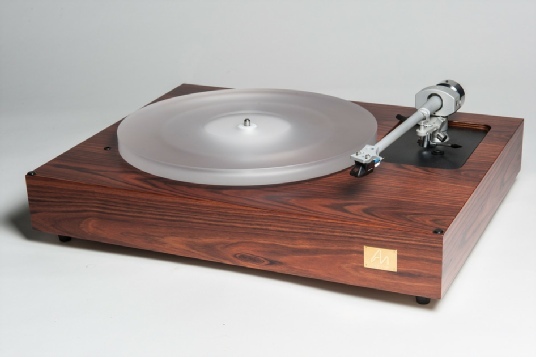 The Dais is a beautifully manufactured and rather substantial turntable, yet one that cleverly manages to hide its bulk, looking far less imposing than one would ever expect given its component parts. 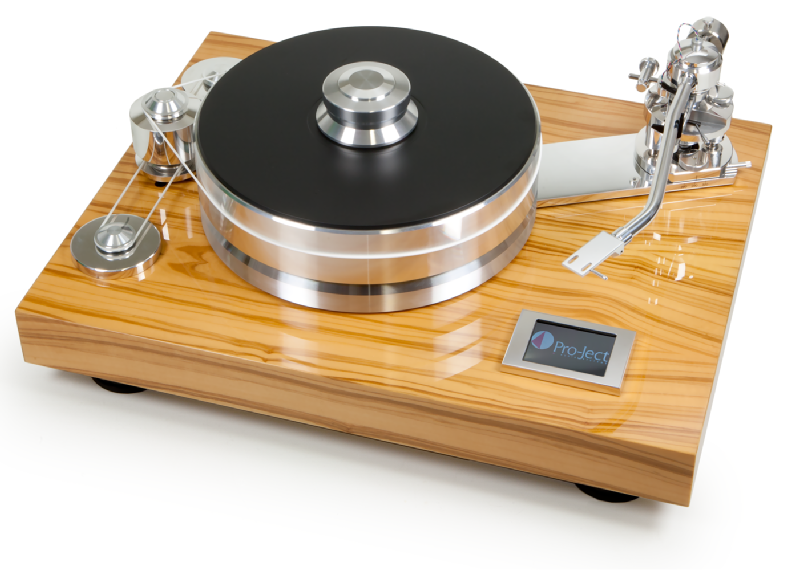 A variety of arm boards are available to suit almost all models of tonearms, and the deck can even support two tonearms if required. This is a difficult turntable to describe simply because it doesn’t seem to add much character at all. Its an exceptionally stable, quiet design which allows the sound great scale and solidity without falling into the trap of ever sounding slow or congested. 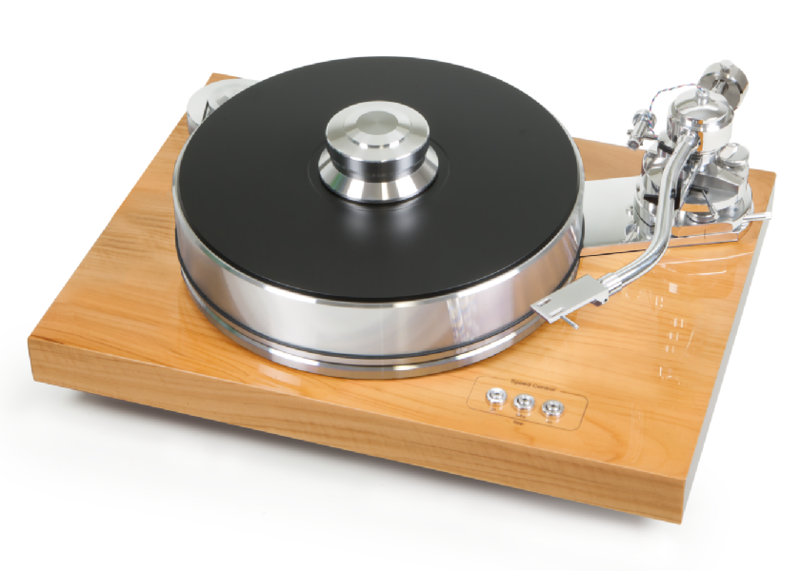 Like all of the Nottingham Analogue turntables we feel its sound is tonally neutral and it simply gets out of the way allowing the cartridge and record to define the character of sound heard. This deck bears comparison to designs costing many times its purchase price and is very highly recommended. 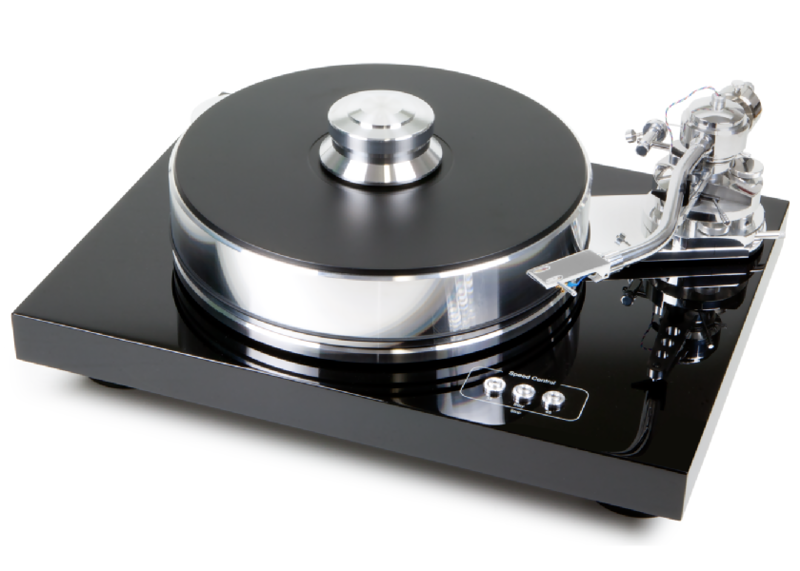 This turntable can now be ordered either with the gunmetal silver platter (as pictured here) or with a black version. The base is now solid gloss black as standard, but many other RAL colours can be specified by special order. 2). Spun iron platter with a mass of over 20kg, carefully manufactured to ensure their are no air pockets inside. 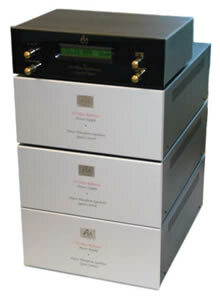 Its also fitted with 4 damping rings to the perimeter which reduce resonance. 7). 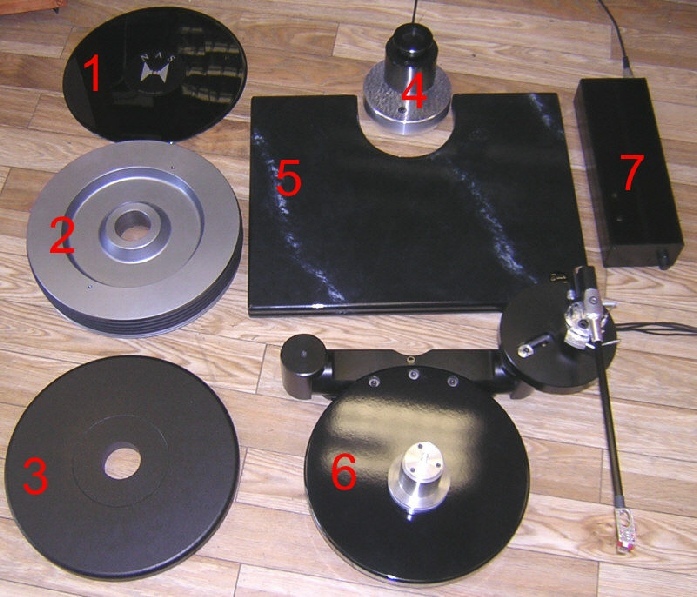 Wave Mechanic power supply (also included, but not shown here, are a strobe disc and Zapper for fine speed adjustment), this is a special version designed specifically for this turntable. The TT-Three should not be confused with the TT-3 (detailed below), but as the numbering suggests this deck is related to its bigger brother, both cosmetically and technically. 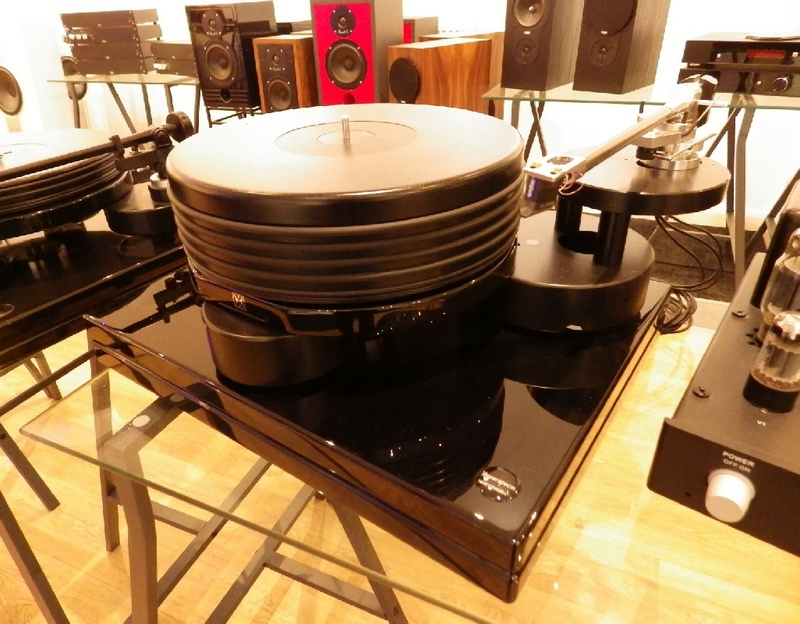 The boxless construction differentiates itself from the cheaper Audio Note turntables, and the suspended aluminium chassis apes the range topping model. Three motors drive the perimeter of the acrylic platter and are used to provide huge amounts of torque. 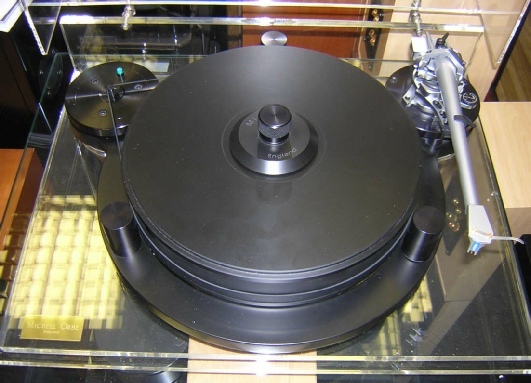 There is a choice of three armboards, one is blank, one is an Audio Note fitment and the other for SME tonearms. 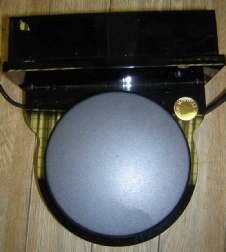 It is available with a white or black lower plinth. More details to follow. Three different grades of power supply are available, the PSU1, PSU2 and PSU3. The Signature is closely related to the Signature 10 shown further up this page, so I will try not to cover too many of its similarities, instead concentrating on what makes the full Signature the ultimate expression of what Project can do. 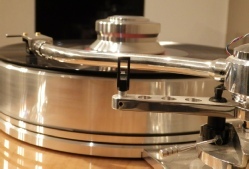 The differences come from the use of a 12” tonearm (up from 10”) tonearm, further lowering tracing errors. Two motors, via two belts are used to drive a single, magnetically cushioned flywheel, which in turn drives the platter with a perimeter belt. This provides more torque as well as a further reduction of vibration. A colour touch screen enables easy control of speed switching and fine speed adjustment. The Anna Log is made from an aged Oak or Sapele ‘log’ (hence the name) that forms (for want of a better term) its chassis. This is a stunningly attractive and beautifully built turntable which like most Nottingham Analogue turntables can support two tonearms. 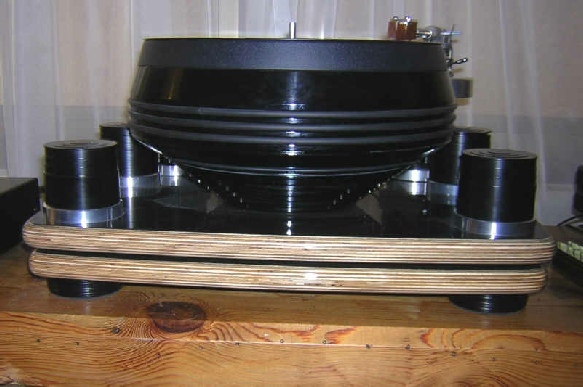 The 60kg Deco is the ultimate Nottingham Analogue turntable, a design where budgetary constraints were removed, resulting in a no compromise deck of superlative quality. Every aspect of the deck, from each material choice, the way each surface interacts and damps with its neighbour to its size and shape was chosen to balance or prevent resonance. 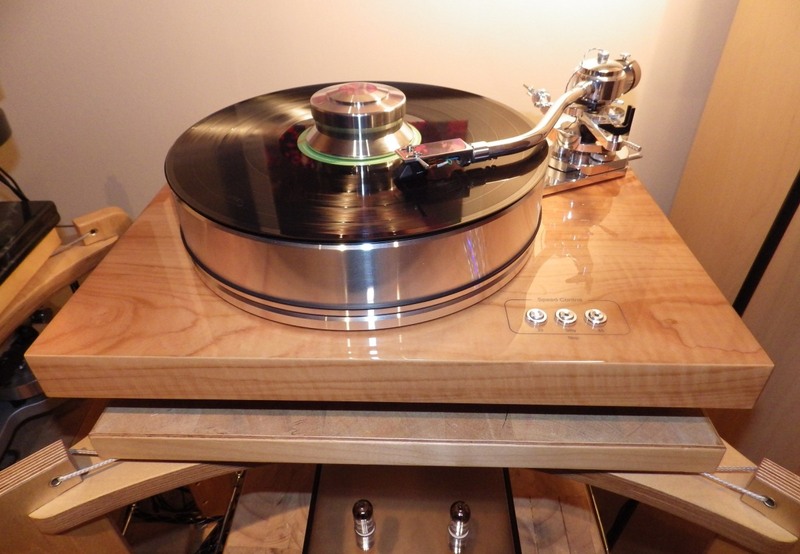 Just looking at the curved sides of the platter, chosen to reduce resonance's at any particular frequency shows the levels of care and attention invested in this deck. 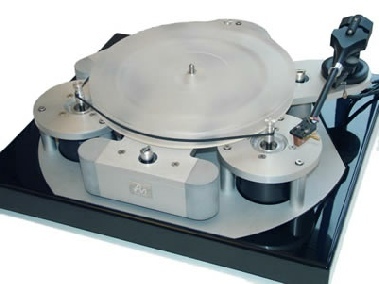 Unusually for a modern Nottingham Analogue turntable it has suspension that can be activated or bypassed, depending upon the owners situation and preference. The Deco is a strictly limited edition, price is available on application but will be over £20,000 for all versions. The 0.5 Rerence is a slightly cut down version of the full Reference detailed below. Instead of the multi box power supply it has a smaller (but still very substantial) power supply to provide enough drive for the three slightly smaller motors. 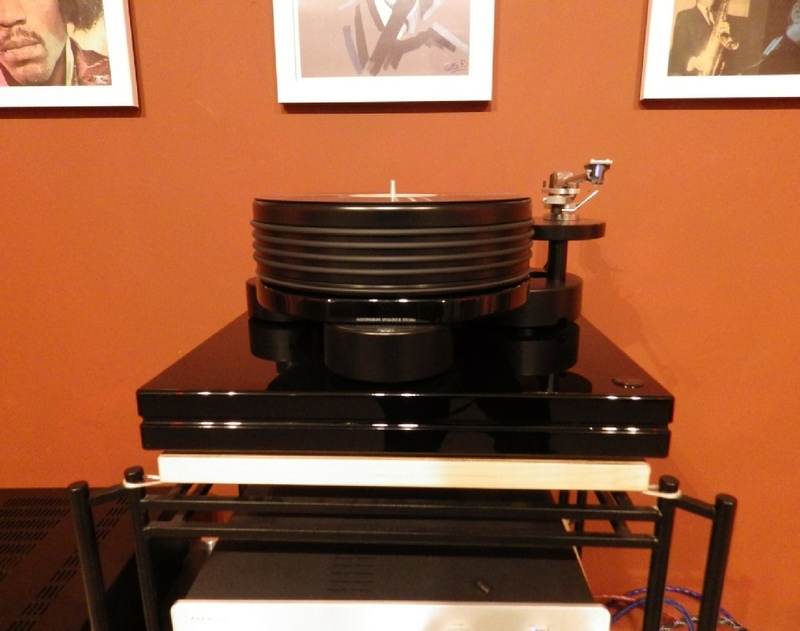 The TT3 Reference is a stunning and quite beautiful tour de force of a high end turntable. It’s difficult to know quite where to start describing this deck, but ultimately the most striking thing about the design is the use of 3 motors, much like the Voyd Reference which it evolved from, but taken to an even greater extreme. For a start, each of the massive motors used has a power output equivalent to almost 2 BHP. Naturally these motors require a serious amount of current and this comes from three massive power supplies - one for each motor, all run from the controller box that provides easy speed switching of 33, 45 with fine speed adjustment available on each and a clear display to show you exactly what speed you’re running at. 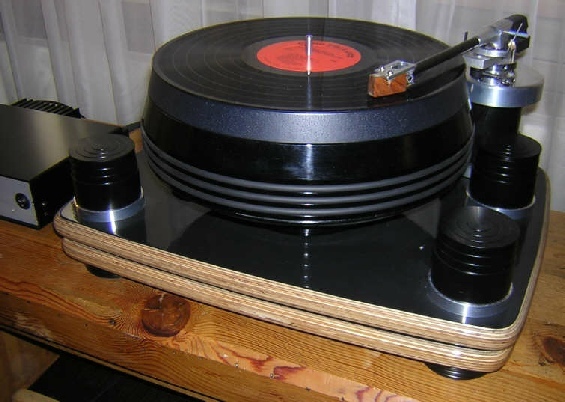 The deck will also cater for 78rpm, different pulleys need to be fitted but this then gives an adjustable range of 60 to over 120rpm - as any shellac collector will know 78’s were rarely cut at the correct speed so a large range of adjustment is often required. The platter is made from Lexan, an incredibly tough material that is both lightweight and inert, the hugely powerful motors give a platter mass inertia equivalent of well over half a ton, with none of the problems of energy storage of a high mass platter or the problems of engineering a bearing that is able to support that kind of mass without considerable wear or noise. The deck is made from aircraft grade aluminium and suspended upon springs with counterweights on the out riggers to ensure the system stays in balance and a system resonance of 2.4 Hz is maintained. Thanks to the balanced nature of this design, setup is both quick and easy. 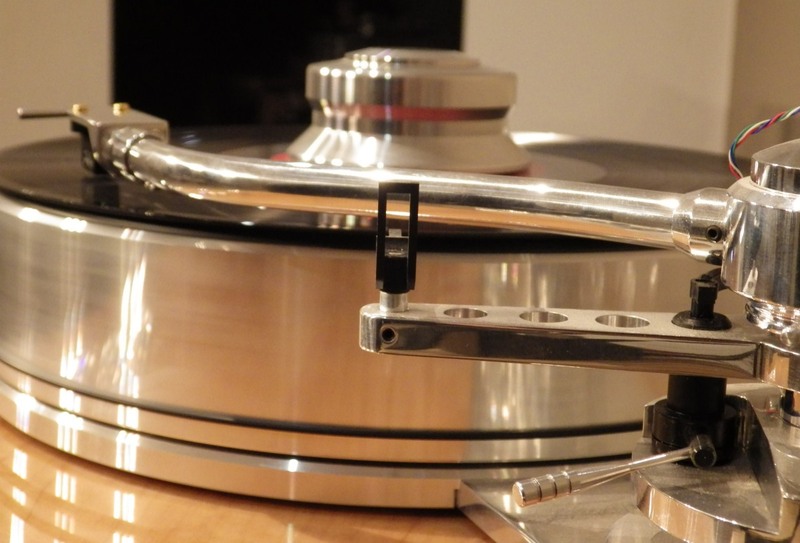 The deck can support up to two tonearms, with a choice of either Audio Note or Rega arm cuts only. 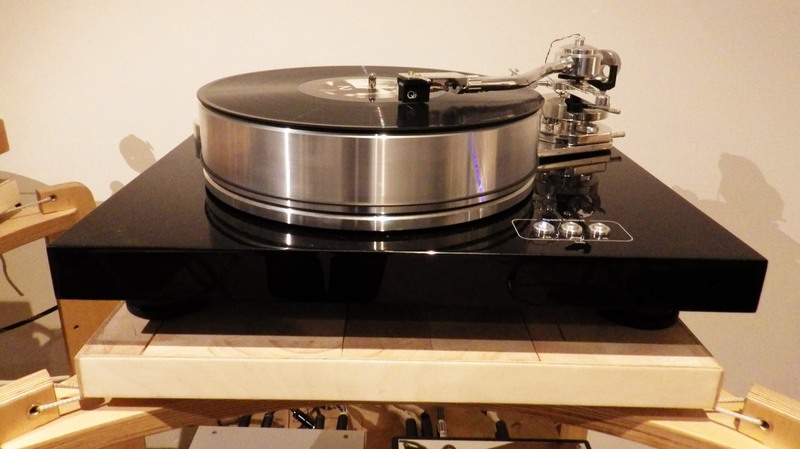 The metal work is available in black or silver and the chassis can be finished either in black piano lacquer or any of the veneers used in the Audio Note loudspeaker range.